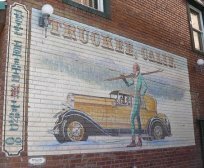 The Donner Lake Neighborhood is one of my favorite Truckee Neighborhoods, and is where I am hoping to purchase a home when I relocate back to Truckee as soon as possible. 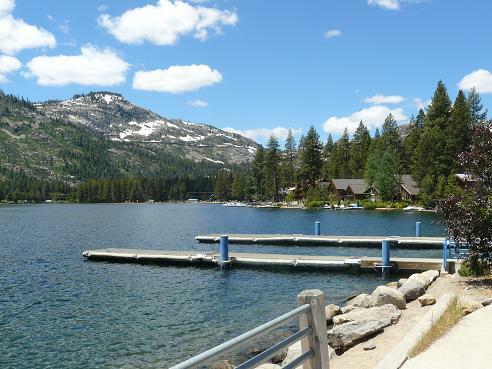 There are approximately 1,500 full time residents that live at Donner Lake, and over 6,000 people on holidays and summertime can be found at the lake! House that was for Sale on the South side of Donner Lake in the Donner Woods II Subdivision. This is one of my favorite houses on the lake! The Donner Lake Neighborhood is surrounded by the Gorgeous Donner Lake which offers lots of recreational opportunities, such as boating, swimming, and fishing. On the west end of the lake, there is Donner Summit which can be accessed by the Old Hwy 40 where fabulous views of the lake are available. This road is sometimes closed during the winter time. 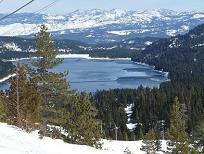 When it is open in winter, you can access the Donner Ski Ranch, and Sugar Bowl. This road is steep, and winding with lots of curves, so it can be a challenge in the winter. On the west end of the lake, there is the West End Beach, which is owned and operated by the Truckee Donner Recreation and Park District. This beach has lots of amenities and is one of the local places to hold events and weddings at the Pavilion on the Point. 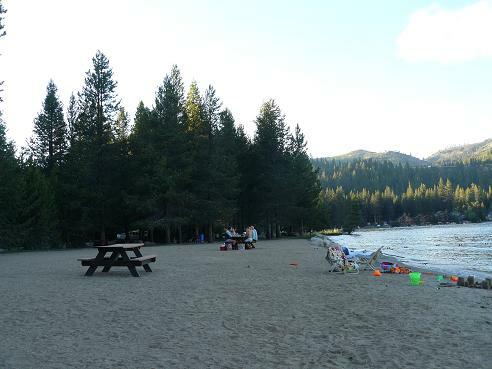 Next to the West End Beach, is the Donner Lake Property Owners Beach, that residents of Donner Lake have the option to join. I love this beach! 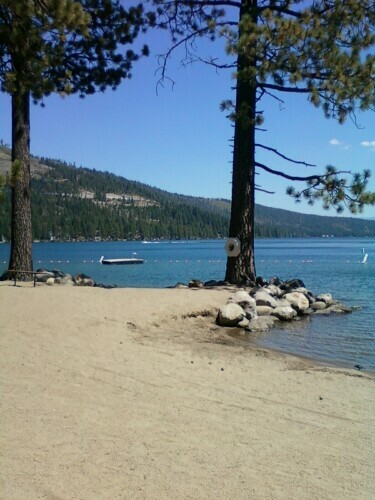 You can check out my Truckee Beaches page for a map of all the Donner Lake Beaches! There are lots of great homes at the West End area of Donner Lake and most of them are within walking distance to the Donner Lake Property Owners Beach. The subdivision of Donner Woods is located at the west end of the Lake. There are houses in various price ranges at Donner Lake. The house above which was for sale is a 2 bedroom house that is absolutely beautiful inside. Unfortunately, it does not have a garage built yet, which I think is essential for a year round resident. The house below is on a large corner lot farther back in the West End neighborhood in a subdivision called "Donner Lake Woods", and is much more expensive. The houses in this neighborhood are large, a lot newer and on on large lots. There are still some lots in this area that are for sale in this subdivision. At the west end of the lake, there is a newer Donner Lake neighborhood called Wolfe Estates, that has a private drive that is accessed just as you head up Old Hwy 40. The homes in Wolfe Estates are gorgeous! Most of them are perched on the hillside with I'm sure fabulous Donner Lake views! As I recently drove up the street, there were several homes currently being built. I would love to live in this Donner Lake Neighborhood, but I'm sure the houses are unfortunately out of my price range. On the east end of the lake is Donner Memorial State Park, where there is camping, boating, hiking, and swimming at the China Cove Beach. In the winter time, snowshoeing and cross country skiing are available from the park. You can also visit the Emigrant Trail Museum, the Pioneer Monument and walk around the self-guided nature trail that starts at the Museum. I think that Donner Memorial State Park is an awesome place to have a picnic! 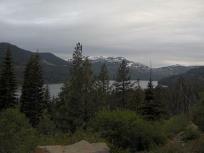 On the North side of Donner Lake, there are homes on the lake and up the hill towards Hwy 80. This is the side of the lake that has 37 Public Piers that are maintained by the Truckee Donner Recreation & Park District. The rec. 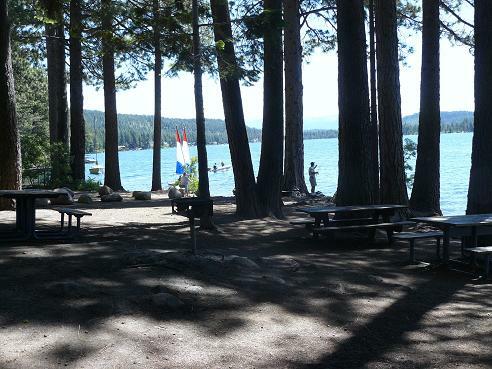 district also owns and maintains Shoreline Park and the Public Donner Lake Boat Ramp, both on the North side of the Lake. Above is a house that was for sale on the North side of Donner Lake on Donner Pass Road. It is right across the street from the Lake, and has a great corner lot. The house above belongs to one of my former college roommates family. 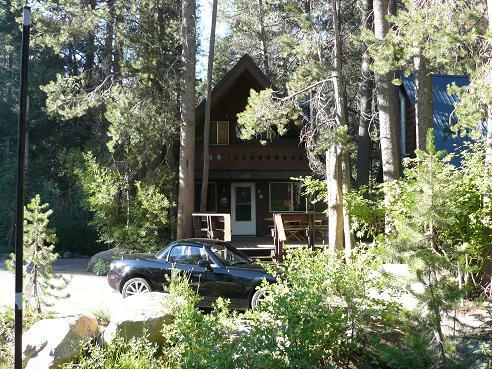 It is on the North side of the lake about midway down on Donner Pass Road, and has a gorgeous view of the lake from their large deck out front. They have a garage below the house, and then also a driveway access from the road above the house. On the North side of Donner Lake, many of the homes have a view of the lake and of Shallenberger Ridge on the south side of the lake which is absolutely gorgeous especially in winter time as shown in the pictures below. This would just be amazing to have a house that faced this view! On the south end of Donner Lake, there are many homes that have private piers, which would be incredibly amazing! South Shore Drive does not go all around the lake, but dead ends at the back end of Donner Memorial State Park. It is a little more isolated near the end of the street. The house above is the first house on the South end of the Lake nearest the Property Owners Beach that has access to the Lake. The house below is another house on the south end of the lake that I love. Below is my good friends cabin that is on the South side of the lake, just about two blocks down from the Property Owners Beach. I've been lucky to stay there off and on over the last few years. A favorite thing of ours to do is take dinner down to the beach and watch the gorgeous sunsets! The south side of the lake on South Shore Drive has a lot less traffic than the north side on Donner Pass Road, and is a great place to walk and bike. This is the Donner Lake Neighborhood that I would love to live in. While Donner Lake is fairly close to Truckee and the shopping there, there is a small grocery store called "Sticks Market" at Donner Lake, about mid-way down the North side of the lake on Donner Pass Road. This market is awesome when you just need a few things, or when it is snowing or icy out, and you don't want to drive those extra few miles into town. We always stop in there for water, when we are riding bikes around Donner Lake. There are many second homeowners at Donner Lake, who rent out their Donner Lake homes when they are not using them. While there are people who rent out their own homes, there are several vacation rental businesses that deal mostly with Donner Lake rentals. 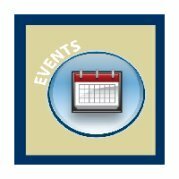 Check out my Truckee Vacation Rentals page for more details! Christy Curtis is the Truckee Travel Guide's recommended Realtor for all of your Real Estate needs in the Truckee and Lake Tahoe area!! Whether you are looking to sell or buy, Christy is the Realtor that you'll want to do business with!! Christy's experience, accomplishments, and awards are hard to beat. 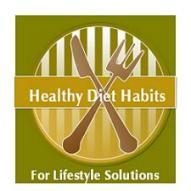 To find out more, and to contact her directly, see my Christy Curtis page! 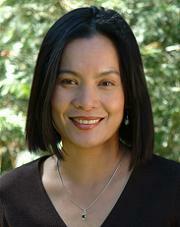 Another recommended realtor is Ann Nguyen of Dickson Realty!